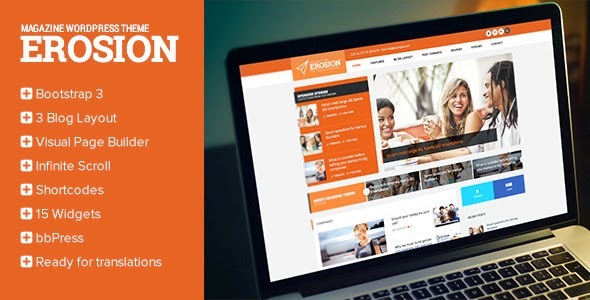 EROSION is powerful WordPress theme for blogging, magazine and company news portal with a lot of elements. You can create unique blog layout by using Visual Page Builder Premium Plugin Included. Item Reviewed: EROSION Responsive Blog WordPress Theme 9 out of 10 based on 10 ratings. 9 user reviews.